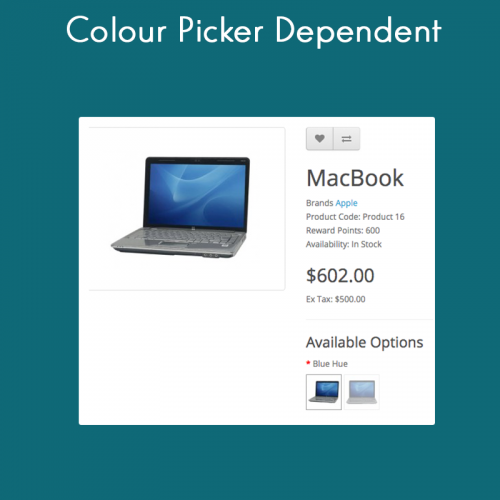 Having a user friendly interface brings you more sales. 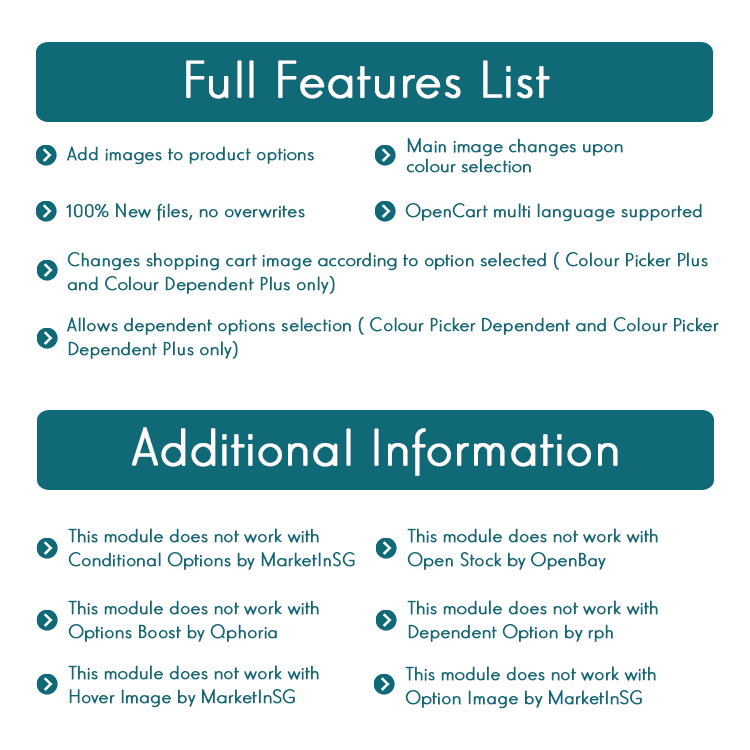 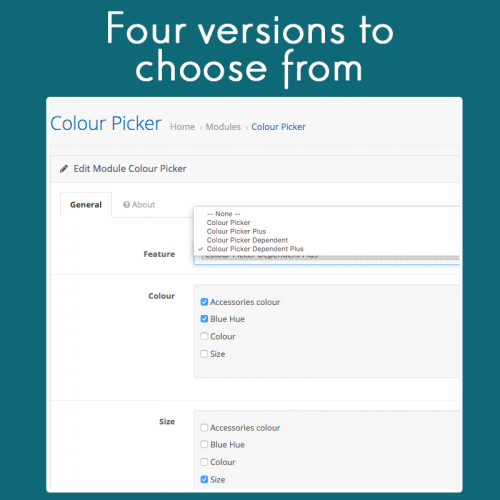 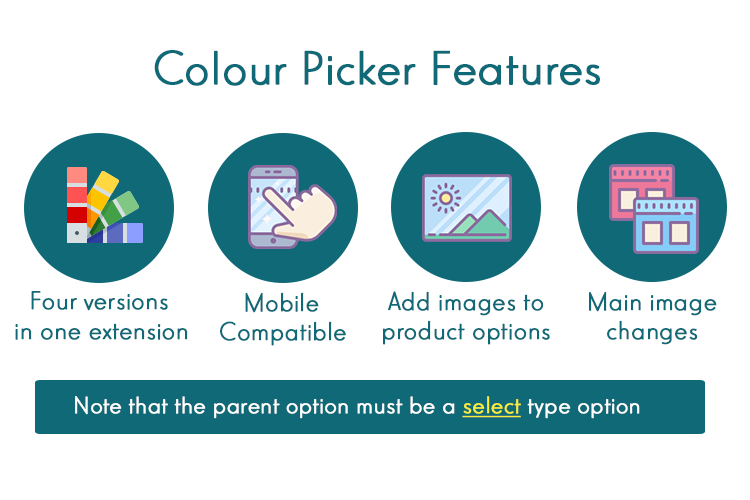 Colour Picker allows your customers to easily view all the option variations you have, displayed in small thumbnails. 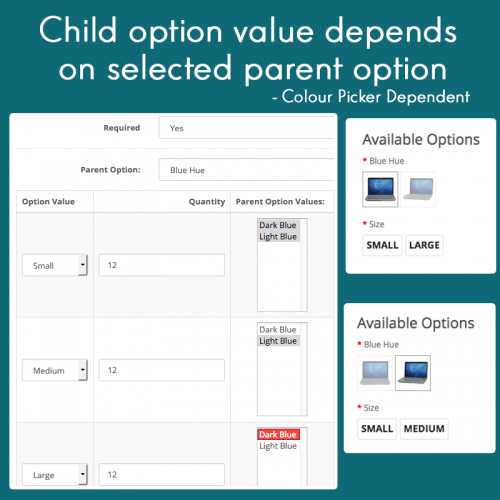 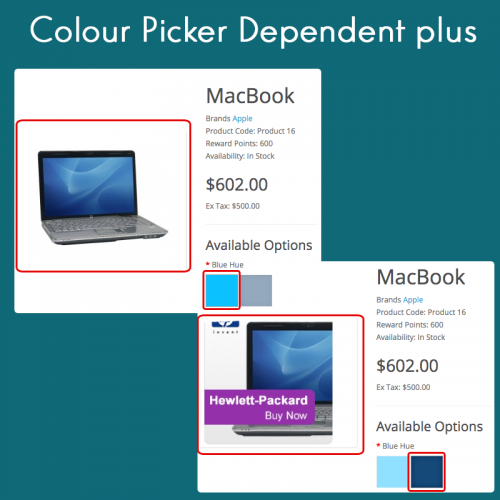 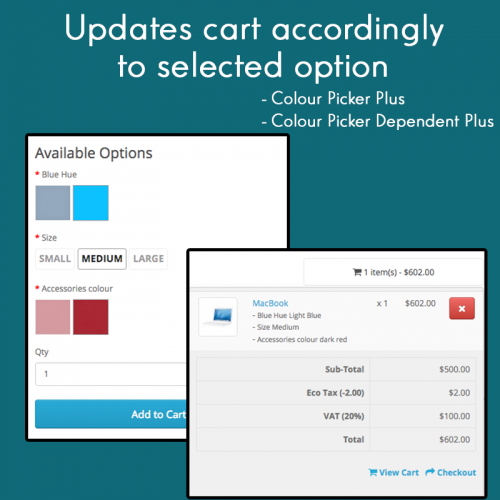 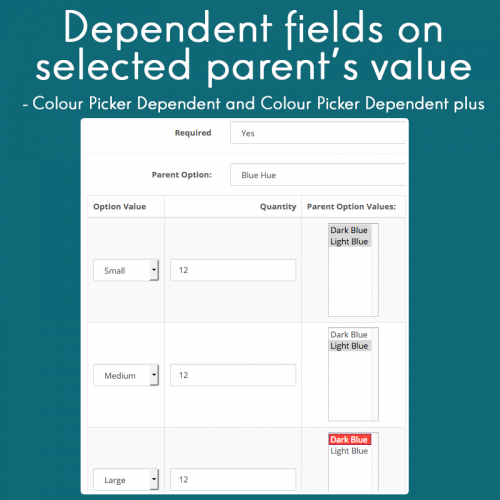 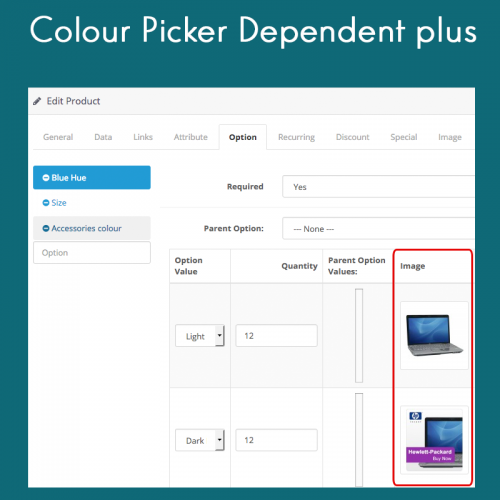 Parent-child relationship options can also be setup with our Colour Picker Dependent Plus feature.